Michael Gold, MD « Cosmetic Surgery Forum – Practical. Honest. Insightful. 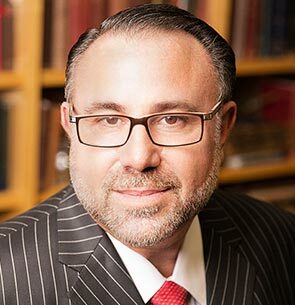 Dr. Michael H. Gold is the founder and medical director of Gold Skin Care Center, Advanced Aesthetics Medical Spa, The Laser & Rejuvenation Center, and Tennessee Clinical Research Center in Nashville, TN. He is a board-certified dermatologist and dermatologic surgeon and oversees the various facets of the center’s operations — a combination of medical and surgical dermatology, cosmetic dermatology, aesthetic services and research endeavors which began in 1990. Dr. Gold has earned worldwide recognition for providing patients with leading-edge technological advances in dermatology and aesthetic skin care. He plays an integral role in the development of new pharmaceutical products and medical devices through his clinical research, and presents the results regularly at national and international dermatology and cosmetic meetings. Dr. Gold has authored over 300 published scientific articles, 28 textbook chapters, and has edited 2 textbooks on Photodynamic Therapy. In addition, Dr. Gold helped establish the Tennessee Society for Laser Medicine and Surgery (TSLMS), a group of health care providers interested in the distribution of information and proper training for those in the cosmetic arena. The TSLMS puts on an annual meeting known as SCALE, or Symposium for Cosmetic Advances & Laser Education, now in its 12th year. Dr. Gold also help start two international groups: the Dermatologic Aesthetic Surgery International League (DASIL) which aims to create a global community for the open exchange of knowledge and innovation by physicians specializing in Dermatologic and Aesthetic Surgery and has become one of the most prominent and important international dermatology groups which showcases meetings all over the world; and 5-Continent-Congress (5CC), one of the world’s leading conferences on Dermatologic and Aesthetic Surgery.